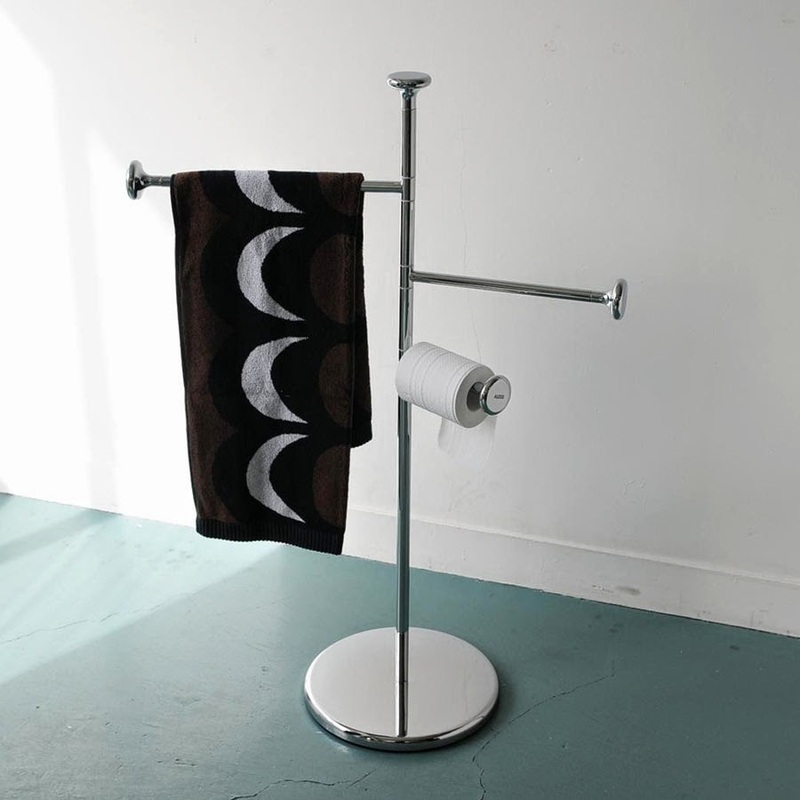 Design house NOVA68 presents the Alessi Birillo Towel Stand made in Italy. Featuring a stainless steel construction with a weighted base and a beautiful shelf, this free-standing towel rack is a perfect fit in both large- and smaller bathrooms. Designed to compliment the entire Birillo collection of bathroom accessories at NOVA68. Made and imported from Italy. Measures 37.25" H x 30" W. Free Shipping. This beautiful floor standing towel stand was created by star architect Piero Lissoni and is crafted from durable materials to please even the most discerning tastes.